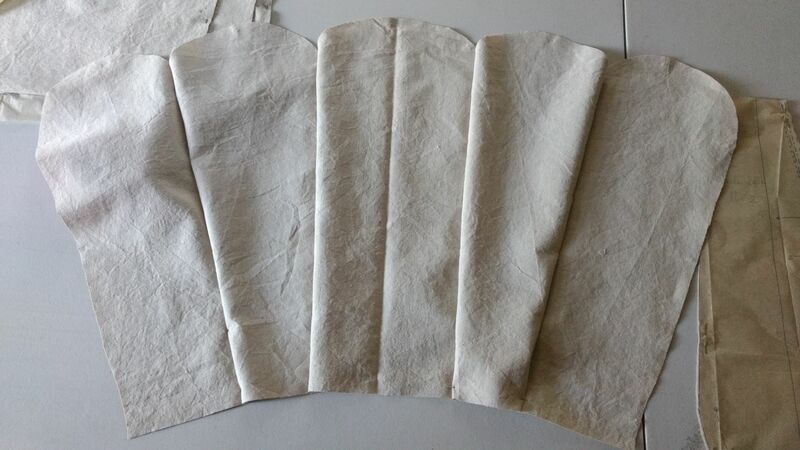 I have a few cuts of fabric that are solely dedicated for when I need a quick filler project to get my sewing fix. Yes, I am addicted, no, no help is needed. These two linen fabrics I’ve had for a while now, and finally decided to put this look together. The petal style skirt was inspired by a look of Michelle Obama’s a few years ago – I love the idea of scallops without the actual hem being curved. 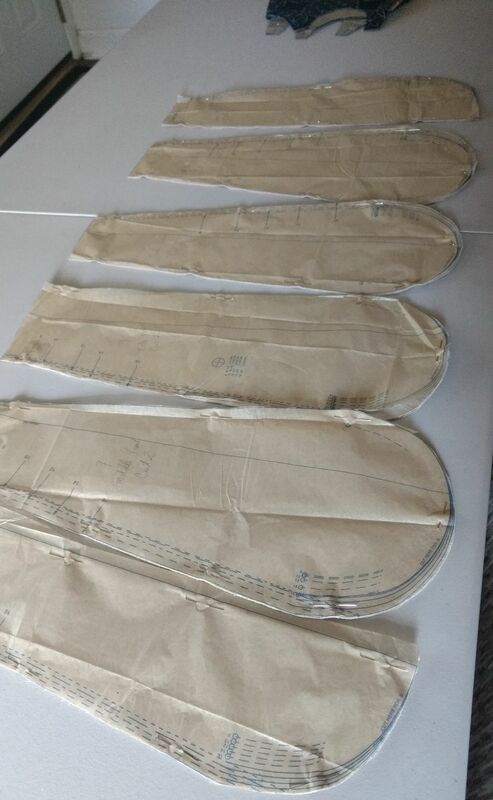 The visual interest of this is something that I don’t see in most clothing stores except very expensive ones – because the seams cannot be set by machine, they must be worked by a seamstress. To start – all the petals! 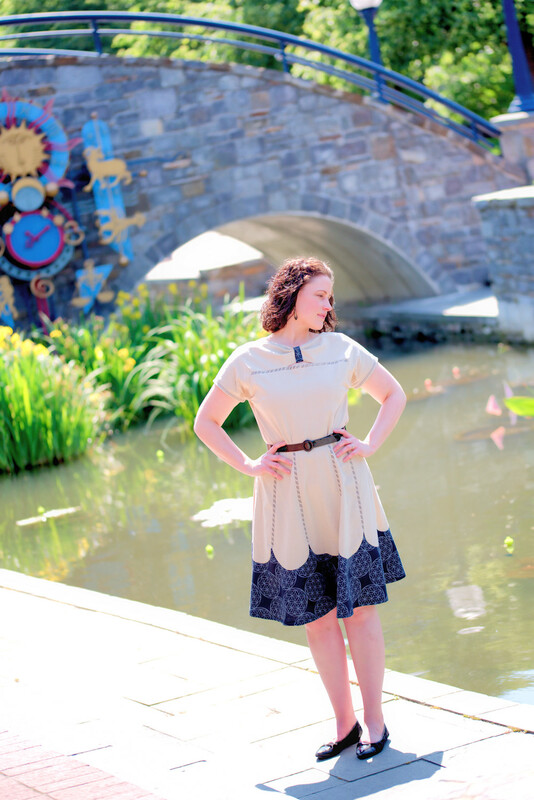 Full disclosure – I did mash-up two Butterick patterns for this dress to make the whole process as quick as possible: B5707 for the bodice and B5894 for the skirt. Then I sewed them all together! Shocking! Then I stitched over each seam with a pre-set decorative chain stitch from my Pfaff. At this point, the skirt is nearing completion. After I did all the decorative stitches, I attached the hem of the black linen around all the curves of the petals. 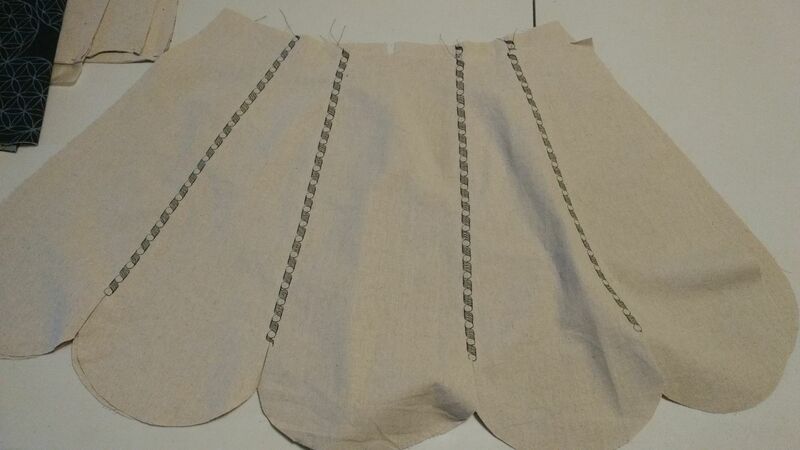 Once each side was done, I stitched up the sides and put the decorative stitch over the side seams. The bodice was fun to work with and sewed up rather quick. I adore the box corners on the bodice and the kimono style sleeves. Close-up of the box cornered bodice, dart, and sleeve style. 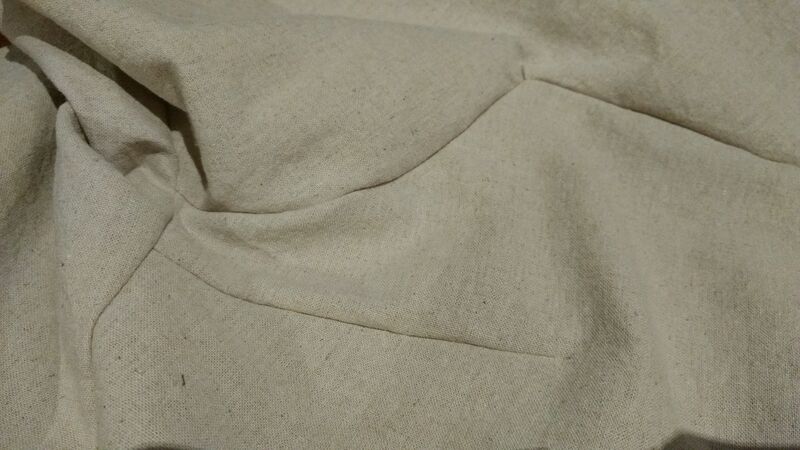 All that’s left is the keyhole neckline, which just required a quick rolled seam at the opening. I added a bit of decorative stitching to add visual interest to the bodice because it felt a bit flat. Then just sew the bodice and the skirt together, throw in a zipper, and voile: dress!